We help companies grow, compete and globalize through the development and implementation of highly effective human capital strategies, and the alignment of resources and services necessary to carry them out. The world of human capital is transforming, and for more than 35 years, MSI has been helping clients manage this evolution. 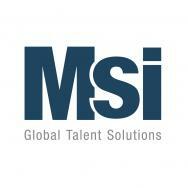 MSI is dedicated to helping companies develop and implement human capital strategies that support their global growth. Our expertise in talent management and global workforce expansion enable us to help organizations make the best human resource decisions possible and operate compliantly and efficiently around the world. Our recognized experts consult across geographies and industries, from aerospace, to retail, insurance, entertainment and sport, manufacturing, insurance to healthcare, Bio-Pharma and beyond.